Cop or Can: The Return Of The Air Jordan 6 "Maroon"
While the return of the Air Jordan 6 in the Black/Infrared release last Black Friday had many in a tizzy (including a few of our favorite CNK KOTD ladies) many consider the silhouette’s next release to be the best we've seen in quite awhile. Right in time for those Christmas shopping trips, the Air Jordan 6 “Maroon” returns on December 5. A retro release that has Jordan fans salivating, the shoe’s simple aesthetics and remastered appeal evokes a rousing round of approval from JB aficionados, and OG sneaker fans (some of whom remember the OG 1991 release) alike. Take a look at more snaps below. 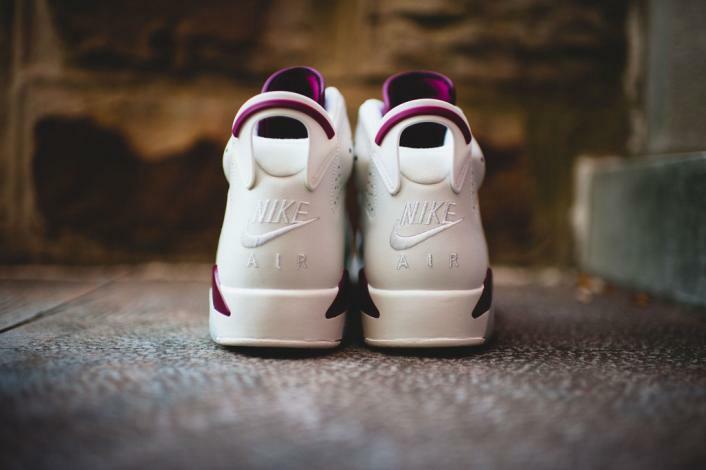 Is the Nike Air Jordan 6 “Maroon” the best Jordan Brand retro of 2015. Cop or can?